An unnamed boy stands in the stairwell of his New York City high school. He secures one end of his sweater to the rail, ties the other around his neck, and tries to hang himself. The boy had been bullied mercilessly for being gay, and nothing changed no matter how many times he or his grandmother asked administrators for help. He just wanted it to end. But just then, according to The New York Times, “a vice principal and two students happened by” and saved him. Teachers and students say the Times story was inaccurate and incomplete. The assistant principal was not there, they say, and the two students who intervened deserve to be named: Ariane Laboy, 16, and Matthew McCree, 15. But the public was not introduced to Laboy and McCree for the life they saved that day. We know their names because six months later, on Sept. 27, 2017, someone in history class threw a paper ball at Abel Cedeno, an 18-year-old sophomore who, like the unnamed student in the stairwell, had been bullied for his sexuality. The profanity-laced challenge and invitation to violence that followed were par for the course at the school. The one thing different that day: Cedeno pulled out a switchblade. He stabbed McCree, and when Laboy came to McCree’s aid, Cedeno turned the blade on him. Laboy fell into a coma for two days. When he awoke, he asked for an egg roll and news of his best friend. McCree’s death at the Urban Assembly School for Wildlife Conservation was the first in New York City schools in decades. The incident initially received substantial media coverage, focusing particularly on homophobia and unaddressed bullying at the school. Cedeno gave an interview saying that he regularly felt physically unsafe and just snapped after being incessantly bullied, and that he acted in self-defense after McCree had attacked him in history class that day. With these issues introduced but not resolved, and Cedeno’s manslaughter case slowly working its way through the court system, McCree’s death faded from the headlines and the public consciousness. Two months after McCree’s death, Robert Pondiscio and I wrote a column in the New York Daily News asking whether UA Wildlife’s shift in discipline policy played a role in the tragedy. I’d done research and writing (and have since given testimony to the House Judiciary Committee and U.S. Commission on Civil Rights) about the unintended consequences and dangers of discipline reform, and suspected that those reforms were part of the story here. Several education writers scoffed (and Tweeted objections). But Vasquez reached out to me to tell me that they were. Vasquez connected me with eight of McCree’s teachers and six of his friends. 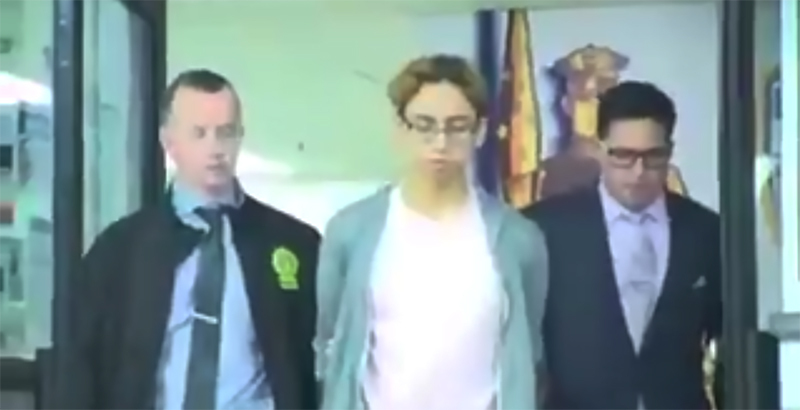 Friends and teachers said he was not a bully but a very “respectful kid” and “wicked smart.” Aside from Vasquez, who no longer teaches in New York City, only one other educator, former teacher and assistant principal Cynthia Turnquest-Jones, agreed to be quoted by name. The rest asked to be quoted using pseudonyms, fearing retaliation. Some are still at the school, others teach elsewhere in the city, and one works outside the district; several lack tenure, and all believe they’d be targeted for bad evaluations if they spoke out publicly. Some have filed lawsuits or grievances against the district for matters stemming from the incident and subsequent administrative actions. The New York City Department of Education replied to some initial queries for this investigation but did not respond to any further emails. The Urban Assembly nonprofit and the Council of School Supervisors and Administrators, which represents principals and assistant principals, declined to comment. School administrators criticized by the teachers did not respond to repeated requests by email and phone for comment. One student, who has transferred out of UA Wildlife, agreed to be quoted by name. Students and teachers said they wanted to set the record straight on McCree as well as on UA Wildlife, a once safe and supportive school that fell into chaos as new administrators implemented a supposedly more positive approach to school discipline. This change was in line with New York City Mayor Bill de Blasio’s campaign promise of putting city schools at the vanguard of a nationwide movement to unwind traditional discipline in favor of a new progressive, or restorative, approach. At UA Wildlife, meaningful consequences for misbehavior were eliminated, alternative approaches failed, and administrators responded to a rising tide of disorder and violence by sweeping the evidence under the rug, students and teachers said. If they had prioritized student safety over statistics, McCree’s teachers believe, he would still be alive. And they fear that the dynamics that destroyed UA Wildlife are playing out across New York City. UA Wildlife, which serves approximately 450 students in grades 6 to 12, was founded in the Bronx in 2007 as a traditional district school with support from the Urban Assembly nonprofit. As recently as five years ago, under the leadership of founding principal Mark Ossenheimer, it was a thriving school with engaged students and a passionate faculty. According to the 2013-14 NYC School Survey, 86 percent of teachers said order and discipline were maintained and 80 percent of students said they felt safe in the hallway. But by the 2016-17 school year, Smith and most of the old faculty had fled. Only 19 percent of teachers said order was maintained and only 55 percent of students said they felt safe. Rumors of weapons were omnipresent, and fights were a matter of weekly, if not daily, routine. How did conditions deteriorate so quickly? Most teachers think the same way as Hernandez about discipline; in Philadelphia, more than 80 percent believe suspensions are essential to ensuring a safe environment and encouraging students to follow the rules. In Oklahoma City, two-thirds of teachers say they need greater enforcement of traditional school discipline to be effective in the classroom. But in Oklahoma City, Philadelphia, and New York, principals — under orders from central office bureaucrats — told teachers that they’re wrong, that traditional discipline is racially biased and must be phased out in favor of the new restorative approach. Teacher polls show a widespread lack of confidence in this system. At UA Wildlife, it was a fatal failure. Under de Blasio, the NYC Department of Education began requiring that teachers provide full documentation of a range of nonpunitive interventions to at least three mid-level infractions before asking their principal to issue a suspension. Principals, in turn, had to apply in writing to a central office that often rejected their requests. At first, UA Wildlife resisted the shift. Hernandez recalled that when the central office started “kicking suspensions back,” the “dean was, like, ‘This is what I have to do, and I’ll do it,’ ” and he fought to push them through. Eden: Teachers Nationwide Say Obama’s Discipline ‘Reform’ Put Them in Danger. So Why Are the Unions Fighting DeVos on Repeal? But in the 2014-15 school year, a new leader, Latir Primus, took the helm. A probationary principal, Primus was under pressure to meet the expectation of his superiors, and, as Hernandez recalled, “when the superintendent was, like, ‘I don’t want the suspension rates,’ ” Primus followed orders. He boasted in UA Wildlife’s comprehensive education plan that the “school has low incidents of behavioral problems as evident in their suspension data.” But lower suspension data can be quite easily achieved by simply not enforcing rules. As Hernandez said, “It comes down to rules. Where’s your line? Kids know where the line is. It was a free-for-all.” In Primus’s first year, she said, the “kids ruled.” There were “things that you were surprised to see because those were the kids in sixth grade who didn’t do that. Then their behavior changed.” A current UA Wildlife student whom I’ll call Deon agreed. “The school changed, because [a] situation would be handled right away before the new people came,” but “now, they just brush it off like nothing,” he said. Turnquest-Jones believes the school struck a reasonable and consistent balance under Primus’s leadership. Meanwhile, teacher opinion on Primus was mixed; some faulted him for failing to enforce rules, while others noted that he maintained a positive personal presence in the hallway and took an active interest in students’ lives. But midway through the 2015-16 school year, Primus was replaced as principal by Astrid Jacobo, about whom no one had a kind word to offer. Because of that incident and others like it, according to Jeremy, “Nobody listened to Jacobo. She would threaten us at first with detention or suspension, and she wouldn’t do it. This caused students to ignore her.” Turnquest-Jones, who was assistant principal in Jacobo’s first year, recalled that students “cussed Miss Jacobo out from head to toe” without consequence. But if Jacobo was passive toward students, she was aggressive toward teachers. “When she arrived,” said Smith, “we were all rated ineffective” by Jacobo on their teacher evaluations. That is somewhat of an overstatement, but the data confirm a sharp uptick in negative evaluations. In the 2015-16 School Comprehensive Educational Plan, 86 percent of teachers were rated effective. The following school year, the plan reported, “58 percent of teachers were rated developing/ineffective on Designing Coherent Instruction, and 71 percent were developing/ineffective on Engaging Students in Learning.” Several teachers could only speculate that Jacobo was pursuing personal vendettas. But Turnquest-Jones, who is African-American, said she believes Jacobo was motivated by racism. 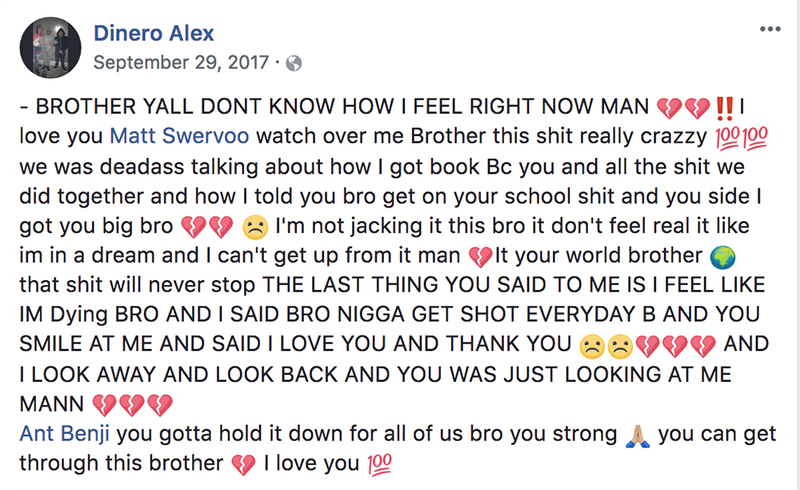 Two days later, on Facebook, McCree’s friend Alex, who was in the history classroom when the stabbing occurred, recounted McCree’s final moments and posted a memorial video for his friend. Asked after the stabbing whether she had seen any “red flags” at UA Wildlife, then-Schools Chancellor Carmen Fariña said during an interview with a local cable TV news station, “I don’t think that that was something that was really apparent.” The scary thing is that it wasn’t. In a district that serves more than a million students, the central office operates based on data, and aside from the student surveys, the data showed that things were fine — because Fariña’s policies were designed to pressure principals to get the suspension rates down. For new principals, like Latir Primus and Astrid Jacobo, the pressure became particularly acute. The easiest way to get discipline numbers down is to not enforce discipline. And then, on the rare occasion you have no other choice, take discipline off the books. Students and teachers said administrators did just this, simply telling students to go home for a few days. One student estimated this happened no more than 40 times in a given year; teachers told me they only found out about this from their students. A Freedom of Information Act request for school emails in Washington, D.C., revealed that high school principals there systematically hid suspensions from district administrators. But at UA Wildlife, a similar request would have turned up nothing. Martinez explained, “For anything that would go on, [Jacobo] would always have us use the Gmail, the Google drive for everything. I remember once I emailed her directly. She said, ‘Thank you for your email. We have a Google drive for that.’ I didn’t understand it at the time.” Now Martinez, Vasquez, and others believe she did this to eliminate electronic evidence. But it’s not just New York City or New York state. The Obama administration’s 2014 “Dear Colleague” letter on suspensions, motivated by federal Department of Education data showing that black students were much more likely to be suspended and expelled than white students, applied the pressure experienced by UA Wildlife on schools across America: Get your discipline numbers down, or else. This created incentives to produce ever-lower suspension numbers, to prioritize statistics over student safety. Teachers are afraid to talk about this. 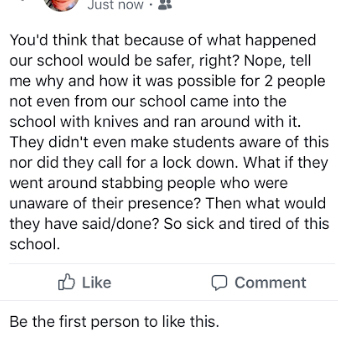 Sidney explained, “People are not going to speak out, period, because it’s going to cost them their job.” It is, indeed, astonishing that after seeing a student stabbed to death, only two teachers agreed to be identified by name. But in cities where teachers unions give their members a voice on discipline in anonymous surveys, like Buffalo, New York; Oklahoma City; and Fresno, California, the comments sound like they’re coming from UA Wildlife faculty: administrators shutting their door to disorder, turning a blind eye to violence, systematically suppressing disciplinary records, even willfully excusing death threats. Teachers at Urban Assembly Wildlife do not agree. Suspensions and incident reports were way down because administrators forced them down by hook and by crook, they say; administrators responded to the pressure to not discipline by not disciplining. UA Wildlife teachers believe that traditional discipline must be restored. “I think if the rules were enforced,” said Smith, “it would have never gotten around to this point.” But teachers were not allowed to enforce the rules. Disrespect, bullying, threats, and even physical fighting were allowed to occur without consequence. A school where homophobia “wasn’t a thing” became characterized by constant homophobic bullying. UA Wildlife became a place where disrespect, fear, and violence were matters of routine, which went unaddressed, teachers say, because administrators wanted to make it look like everything was all right. The only thing different the morning of Sept. 27 was the knife. It wasn’t what policymakers intended. But, teachers say, that’s what can happen when students understand that they can act badly with impunity. To share your stories, email meden@manhattan-institute.org. 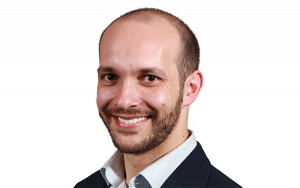 ­Max Eden is a senior fellow at the Manhattan Institute, specializing in education policy.